These days fashion trends typically make their way to Russia from Europe, but a century ago Russian designers were dressing the chic and fashionable on both sides of the Atlantic. Every year, from January onwards, the world of fashion fixes its attention on what is happening on catwalks and behind the scenes at Fashion Weeks across the world. Industry professionals, lovers of beauty and glamor, and it-girls from all over the world put New York, London, Milan and Paris into their diaries. One event unlikely to feature on their itineraries, however, is Moscow Fashion Week, which is not that well known even among fashion industry professionals. Although the Russian couturiers of today lack the high profile enjoyed by the giants of France and Italy, at one time Russian designers dressed fashionable people on both sides of the Atlantic. The history of Russian "expansion" into the foreign fashion market began with the break-up of the Russian Empire following the revolution of 1917. Hundreds of members of the Russian aristocracy found themselves making a new life abroad as refugees. Most of the women among them had brilliant education as well as fine manners and impeccable taste. Moreover, as young girls they were all taught embroidery and needlework. The Paris magazine Illustrated Russia wrote about them at the time: "A Russian émigré lady has shyly entered this city. There was a time when her mother and grandmother ordered their dresses from Worth and Poiret, but this young Russian woman has just escaped from the hell of the revolution and civil war! She has arrived in the capital of female elegance and knocked on the doors of a luxury maison de haute couture. And the massive doors opened to let her in and she has captured everyone's heart…"
The Russian Revolution created ripples even in the world of fashion. Chic women in Europe began to wear styles à la russe: kokoshniks (headdresses), furs and boyar (aristocratic) collars. Collections featuring these elements were presented in the 1920s by Paul Poiret, Coco Chanel and many others. Russian émigré women, who had been trained in delicate needlework since childhood, found themselves in great demand. Duchesses and countesses began to produce embroidered accessories, costume jewelry, embroidered fabrics, clothes and interior design items in the Slavonic style. Russian aristocrats mainly specialized in embroidery work and did it so well that they began to receive orders from leading fashion houses. The most successful of them all was Grand Duchess Maria Pavlovna, who set up an embroidery workshop called Kitmir and signed an exclusive contract with Chanel to design and manufacture embroidery. All in all, Russian aristocrats founded over 20 fashion houses. Maria Putyatina set up a hat firm called Shapka (“hat” in Russian), which became so successful that it soon branched into London. Countess Orlova-Davydova opened a Russian fashion house in Boulevard Malesherbes, which specialized in "hand-knitting and printed wool and silk fabrics". Meanwhile, Duchess Lobanova-Rostovskaya set up her own Russian fashion studio in London, called Paul Caret. The parents of one of the founders of modern U.S. fashion, Ralph Lauren, came to America with their parents from Russia in the 1920s. Until he turned 16, the legendary fashion businessman was known under his father's surname, Livshits. Having started out selling neckties that "looked expensive but cost little to make" from an office without windows, Ralph Lauren now runs a fashion empire of his own and is a regular fixture at New York Fashion Week. 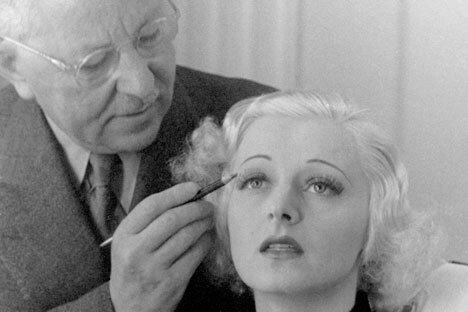 Or take, for instance, "the father of modern cosmetics", Max Factor (Maksymilian Faktorowicz), the founder of cosmetic industry giant Max Factor & Company. Though a Polish businessman of Jewish origin, he too was born in the Russian Empire, of which eastern Poland was then part. He opened his first cosmetics store in Ryazan, and later worked in Odessa and Nikolayev. Today one of the stars on the Hollywood Walk of Fame bears his name. Another incredible success story took place in Italy, where Irina Borisovna Golitsina, a girl from a titled family of first-wave émigrés, brought up in Russian aristocratic traditions, became a principessa of the Italian fashion world. Her fashion house, Galitzine, was on a par with the houses of such established masters as Gianni Versace, John Galliano and Yves Saint Laurent. It was she who in 1963 designed the famous "palazzo pajamas", silk pajama sets that were chic enough to be worn as eveningwear. A special place among successful Russian fashion houses abroad belonged to IRFE (the acronym stood for the initials of its founders, Irina and Felix Yusupov). Princess Irina, nee Romanov, was a niece of Tsar Nicholas II and a favorite granddaughter of Alexander III. Her husband, Prince Felix Yusupov, famous for his involvement in the assassination of Rasputin in 1916, belonged to one of Russia's oldest and richest noble families. All the splendor and sophistication of their background was reflected in the models they created. Delighted by the house's first collection, a review in the French edition of Vogue magazine said: "This is a collection which is at the same time a selection because it does not have a single model that does not work." The aristocratic nature and flavor of the brand brought it enormous success and IRFE opened branches in Normandy, Berlin and London. In addition, it released a revolutionary line of perfumes: Blonde for blonde women, Brunette for dark-haired women, Titiane for redheads, and Grey Silver, for elderly ladies - all in limited edition. And yet in 1931, seven years after its spectacular launch, IRFE was forced to shut down, unable to cope with growing competition. The same fate awaited the majority of Russian fashion houses in Paris. Smart and sophisticated but lacking in business acumen, Russian aristocrats created beautiful pieces but were unable to fight for their place under the sun. However, the story has a silver lining: In 2006 a Paris-born Russian, Olga Sorokina, revived the brand IRFE, which is now available in more than 20 countries of the world and has already presented its 2014 spring and summer collection at Paris Fashion Week.